At a time when synthesized pop and grunge were dominating the charts, New York native Lenny Kravitz erupted onto the music scene with molten vocals and ultra steamy licks. Some might have thought his message passé since the ‘80s, but the composer, actor, producer and four-time Grammy winner perpetually proves that it’s just as viable now. His mantra is simple, let love rule. To mark the anniversary of the album that brought him into the limelight, Lenny has remastered the Let Love Rule CD as well as dressed it up with a ton of extras and has currently embarked on an intimate club romp. 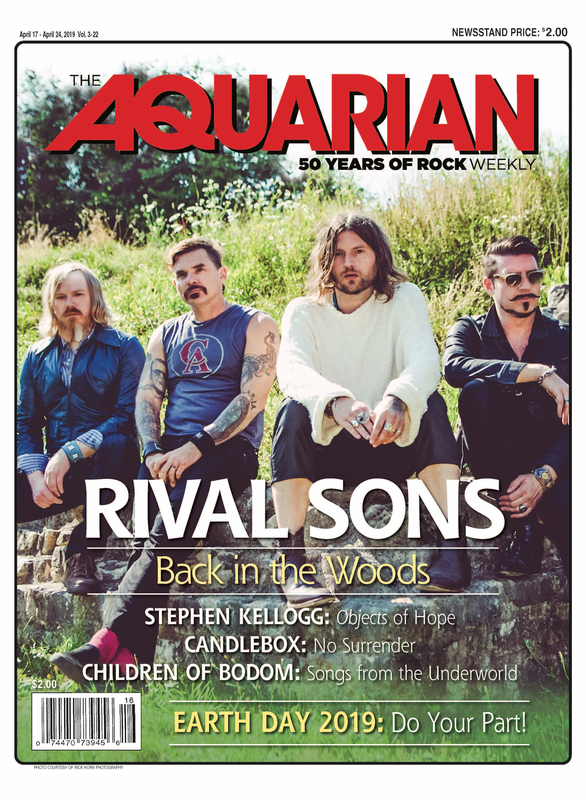 Lenny spoke to the Aquarian Weekly about his journey thus far and how his fearlessness has brought him fans’ adoration and the respect of peers like Bob Dylan, KISS and Michael Jackson, to name a few. When you first released Let Love Rule, and especially the title track, did you feel out of place or very brave? It was still the ‘80s when the ‘Me’ generation was in and grunge’s angry was just starting to explode. What was it like putting out the re-mastered CD with all the bonus material, was it like an audio diary for you? Well, it was interesting going back and just finding all the old things that I hadn’t heard in so long. Old pictures and the artwork, all the stuff that they are using to put together the package, and demos. And just hearing all that was a trip, and to think that was 20 years ago! I had no expectations, I didn’t know what was going to happen, and it was like digging back into your past. You’re writing for your next record right now, what direction is it taking? Very funky and very raw. Lots of jazz elements, African elements, and soul. It’s very cool, I am digging a lot. When will be it released? Beginning of the summer probably. Lyrically, you write from a really inspirational standpoint. I think one of your most profound lines is found on the Lenny CD from ‘Dig In.’ Namely, ‘Ask God to teach you, then persevere with a smile.’ What set of circumstances or beliefs gave birth to that? Life in general, there’s always challenges everyday. What I’ve been taught and what I have experienced is to trust God. There’s times when your faith is higher and times when it’s lower, we’re human beings. We go up and down, but at the end of the day, it’s really about that. You take what seems to be an obstacle or what seems to be bad, and you turn it into something good. You turn it into a lesson, something that’s going to take you to the next place. That’s really what it’s about. Having something so-called bad happen to you, that takes from where you thought you were going, and takes you somewhere else, can just be God leading you to a better place. Were you ever fearful to sing something like that because you don’t usually hear things like that in music unless it’s gospel? Were you ever afraid of being labeled as too preachy? I think most people don’t get it—critics. People that listen to my music, fans, supports, they get it. I hear so many stories of how the music affects them, and so forth but critics, even that write about it, they don’t get what I am saying at all. I mean, I say it very simply, but they don’t get it. They don’t really understand the depth of the lyric. Due to the fact that they might only hear, ‘Dig In, Dig In.’ But they don’t understand that there’s a heavy issue behind the lyric, and behind the lyrics and the verses. But when you say, am I worried about putting this kind of message out? Not at all, because it’s a message that I feel, and it comes out naturally and therefore, that’s what I do. People that are meant to understand it, will understand it. If people didn’t like it or criticize me for it, too bad, I have a positive message. It’s funny when you give a positive message in so many cases you get harassed, but when you give a negative message, then that’s cool.